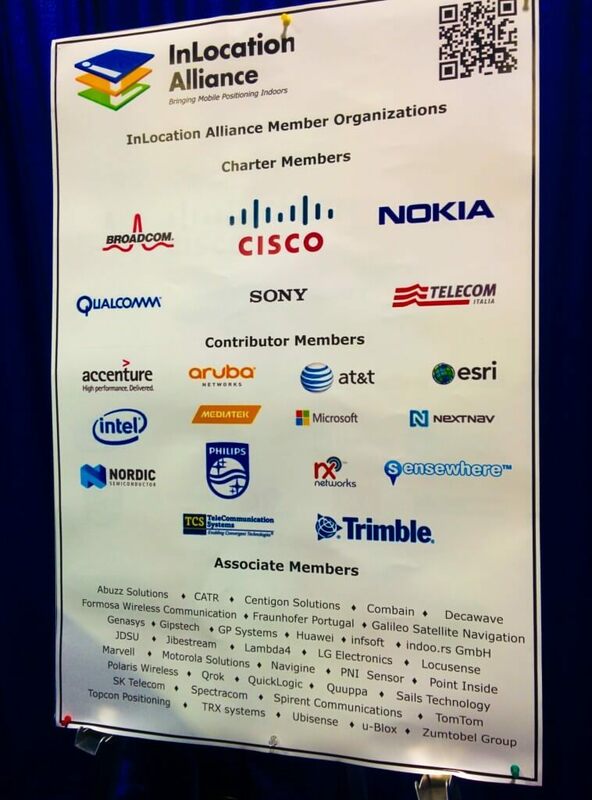 indoo.rs Conferences, Festivals and Events…Oh My! It has been a month on the road for various indoo.rs team members, with the ION GNSS+ conference in Tampa and the Uprise Festival for startups in Amsterdam being the two highlights. At ION GNSS+ where two whitepapers co-authoured by our head of marketing were presented. The whitepapers were about how navigation and positioning solutions are changing the face of both the Transportation and Retail* areas. 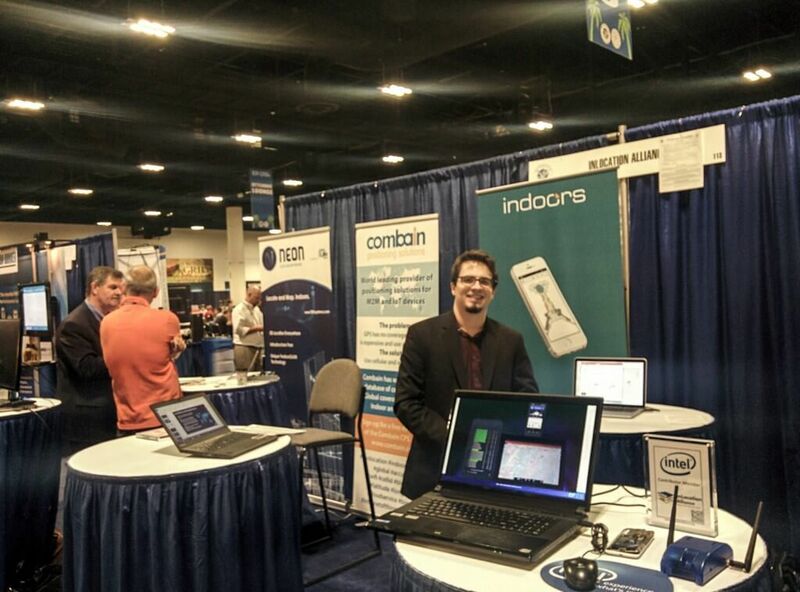 Markus, one of the indoo.rs co-founders, was representing us in Tampa, FL, talking to a lot of very interesting companies about what the future holds, not just for indoo.rs but for the industry in general. 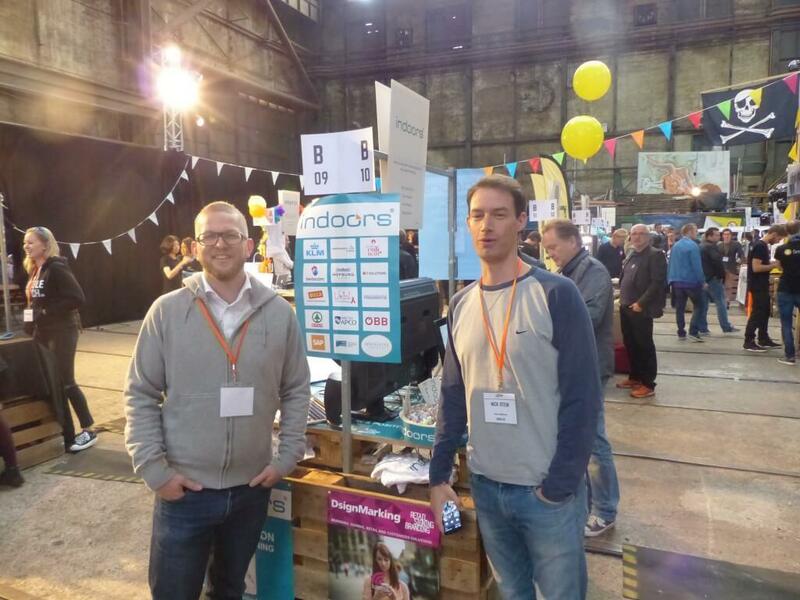 At the Uprise (startup) Festival we were represented by Bernd – CEO and Co-founder, Nick – Head of Marketing and Florian – Project Manager. This was a more traditional startup event and there were a lot of interesting startups in the Amsterdam showing of the various stages that they were at. 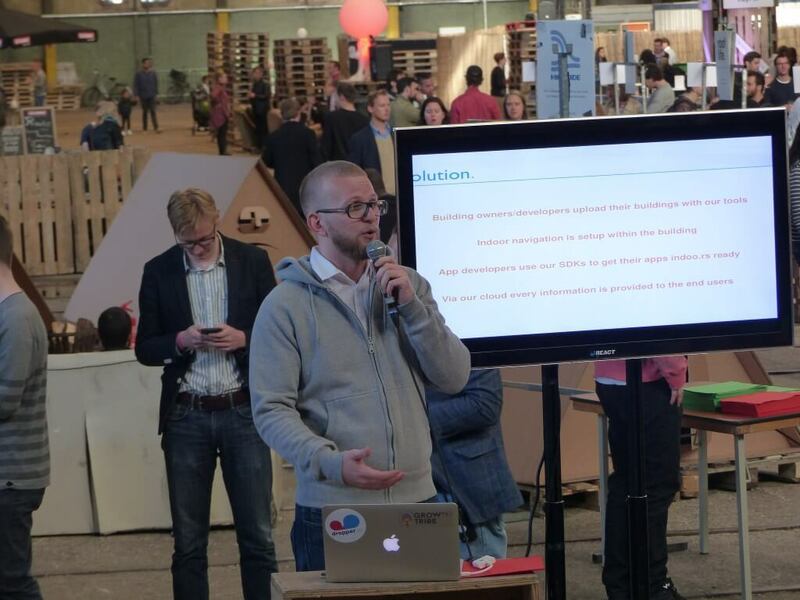 The range was vast from startups just past the ideas phase to startups with customers spanning the globe. Also, the offering was very differnt, from cardboard tents, the idea is not as insane as you think, to meditation aids. Here you can see a little what the event was like. Full disclosure for Nick looking like that, someone thought that we should sleep on a boat as we were in Amsterdam, ok, that was Nick so he deserved it! While they were gone, the rest of the team were putting in the regular hard work getting a fresh new release ready to go. The Surface without locator. Surface is slowly becoming a product on its own and is in the future going to decouple from the locator, while keeping its capability to display a position dot. – from now on, one user can be part of multiple accounts. To utilize this, we have developed an invitation mechanism that allows account owners to invite new users, review sent out invitations, and recall or renew the invites. – Using the profile page, the user can change his details that will be visible in all of his accounts. We’ve changed the zone ranging strategy from exclusive to inclusive. From now on your large zone can be triggered by all three beacon ranges. There are a lot of events coming up in the next few months but it is the one that will be happening on Friday in Vienna that is the topic here. 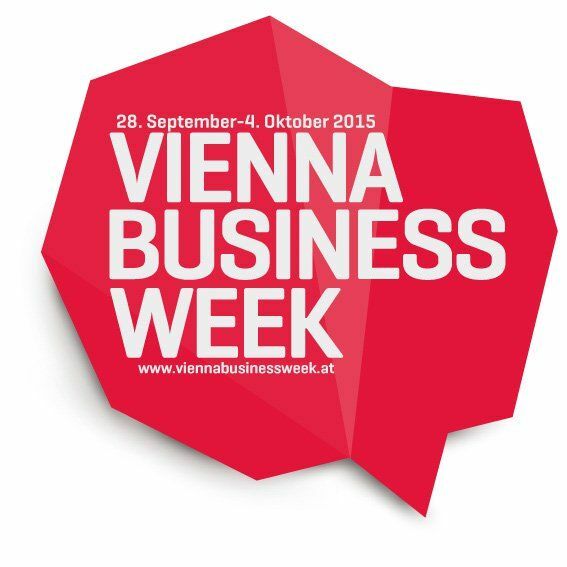 We are going to be presenting the mumok app, live at the museum as part of the Vienna Business Week along with the app developers Nous. This promises to be a great event and we are really looking forward to it. *To download these whitepapers you will need to register on a third party website.